Mr. Rajiv Prasad, the President (India Operations) JK Tyre & Industries, is a man with a penchant for achieving more & more every day. He is a Bachelor of Engineering from Zakir Hussain College of Engineering, Aligarh Muslim University, and a Post Graduate in Management from IIM, Bangalore. 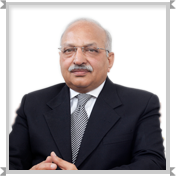 Prior to joining JK Tyre & Industries, he was the Senior Executive Director at Dalmia Cement. With extensive experience over a period of 33 years in various capacities at BHEL, ITC, Piramal Glass, Halonix and ACC, Mr. Rajiv is a veteran when it comes to leading diverse teams. He believes in constantly challenging the status quo for himself and his team enabling everyone at the company to stretch and achieve beyond the ordinary. Dr. Raghupati Singhania is the Chairman & Managing Director of JK Tyre & Industries Ltd. – Pioneers of Radial technology in India and leaders in the Indian Tyre Industry, and the manufacturers of the well known “JK Tyre”, “Vikrant” and “Tornel” brand of Tyres. He is also the Chairman of JK Tornel, S.A.de C.V., Mexico, a wholly owned subsidiary of JK Tyre. JK Tyre & Industries Ltd. is a member unit of J.K. ORGANISATION, one of the oldest large business houses in India. Group Companies are engaged in manufacture and exports of a wide range of products such as Automobile Tyres & Tubes, Paper, Cement, Woollen Textiles, Cotton Textile Yarn, Hybrid seeds, Dairy & Food products, Cosmetics, Insurance, Power Transmission systems including - V-Belts, Oil seals, Industrial rubber products, apart from generating power using wind & solar energy, Healthcare and Education. It has overseas manufacturing operations in Mexico, Kenya and Portugal and also has offices in USA, UK, Hong Kong, Dubai and China. 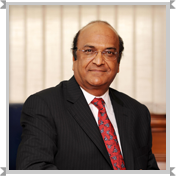 Dr. Singhania is serving various leading Apex Chambers and Government bodies of India, like, Confederation of Indian Industry (CII) – Member of National Council; PHD Chamber of Commerce and Industry (PHDCCI) – Past President & Senior Member of Managing Committee; Indo-American Chamber of Commerce (IACC) – Past President of North India Council, and Member – Executive Council; Indian Rubber Manufacturers Research Association (IRMRA) – (A Govt. of India body) – President; Asia-New Zealand Foundation - Honorary Advisor. He has served Automotive Tyre Manufacturers Association (ATMA) as Chairman; Associated Chamber of Commerce and Industry (ASSOCHAM), as Deputy President; Bureau of Indian Standards(BIS) – (A Government of India body), as Member; Rubber Board - Kottayam - (A Government of India body), as Member; Chemical & Allied Products Export, Promotion Council (CAPEXIL), Government of India, as Chairman of Auto Tyres & Tubes Panel; Indian Wire Rope Manufacturers Association (IWRMA), as Chairman; Xavier Institute of Management (XIM), Bhubaneshwar, as Member of Board of Governors; Indian Institute of Technology(IIT), Chennai, as Member of Board of Governors; Various apex bilateral bodies of Indian and International Business community, as Chairman. His illustrious career is studded with numerous prestigious recognitions and awards. He is a technology savvy business leader and also keeps himself tuned with changing times. His remarkable visionary abilities blended with innovative & entrepreneurial zeal have been best demonstrated in his pioneering effort of ushering radial technology in India way back in 1977 when all other tyre companies in the country were grappling with intricacies of conventional technology. Under his stewardship, JK Tyre has been actively promoting Motorsport in the country for over three decades, as it’s the perfect platform to test the potency of our products in extreme conditions. JK Tyre played the most significant role in developing Motorsport in India and promoted Car Rallying for almost a decade and a half. The company launched and instituted the National Karting and Racing Championships in 1997. JK Tyre is the first Indian company to acquire a FIA accredited series Formula BMW Pacific and rechristened it as the JK Racing Asia Series. India’s pride and world class race drivers like Narain Karthikeyan, Karun Chandhok, Armaan Ebrahim, Aditya Patel have all graduated from JK Tyre’s karting and racing programs. 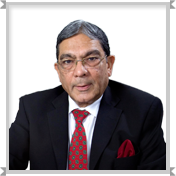 At JK Tyre we believe knowledge and experience is the bedrock for advancement and our Director & President- International Operations Mr. Arun K. Bajoria brings over 50 years of collective experience to the boardroom. It is this strong penchant to grow and learn that has taken the company to new heights. This was mirrored when JK Tyre under his leadership acquired the tyre manufacturing company TORNEL in Mexico in June 2008 and envisioned a new era in JK Tyre with the acquisition of Laksar Tyre Plant of Birla Tyres at Haridwar in April 2016. Mr. Bajoria has been a member of various trade and commerce associations including Confederation of Indian Industry (CII) - Gwalior Zone, PHD Chamber of Commerce & Industry - Delhi, Madhya Pradesh, and Gwalior. That’s not it; he is also a member of the Managing Committee of Technological Institute of Textiles at Bhiwani (Haryana, India) and is associated with religious and social service organisations. Despite these many associations and constant need to seek and gather more knowledge, he somehow manages to find time every day to go take a dip in the swimming pool or read a novel or even go travelling with his much loved camera. He is fond of music (both Indian & Western). His love and passion for sports can be seen with his 7 year stint as the President of Gwalior Cricket Association from 1987 to 1994. He has also been a Tennis player and represented BITS Pilani at the Rajasthan state level tournaments. With the belief that quality education is the foundation of our society, Mr. Bajoria has actively contributed to organisations like MITS, Gwalior, HASETRI as a member of the Board of Governors and Trust. He is also a member of the Managing Committee of Pushpawati Singhania Research Institute for Liver, Renal & Digestive Diseases (PSRI), New Delhi. A mechanical engineer from BITS Pilani and a fellow member of the Institution of Engineers, India (B.E., F.I.E.). 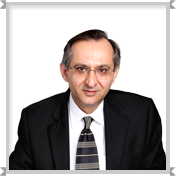 Mr. Bajoria went on to do his Advanced Management Program on Strategy and Leadership from London Business School. And even today, he finds himself to be a student of the new, as he recently attended the International advanced learning programme on “Mergers & Acquisitions” at Wharton Business School, University of Pennsylvania, Philadelphia (USA). Our President- India, Mr. Vivek Kamra, has a penchant for achieving more & more each day. His list of degrees speaks for itself with a B.Tech from IIT Mumbai, a Business Management degree from XLRI, Jamshedpur and a General Management Programme Degree from INSEAD, France, Mr. Kamra went places even before the onset of his career. 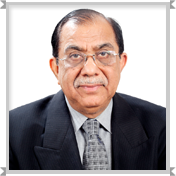 Prior to joining JK Tyre, Mr Kamra, worked in Singapore as President & CEO – NatSteel Holding Pte. Ltd., a wholly owned subsidiary of Tata Steel Ltd. He has 25 years of rich experience working with multiple teams and organizations across geographies. Outside office hours, it’s easy to know where he’d be spending most of his time - at the squash courts, playing with his son or socializing with friends and colleagues, a great lover of work hard, play hard theory. If squash is not your thing, a round of golf or a game of cricket would be sports he indulges in. He constantly challenges the status quo for himself and all of us @ JK Tyre enabling his colleagues and the company to stretch and achieve beyond the ordinary. 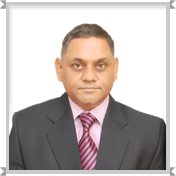 Mr. A. K. Kinra, is CFO with the designation of Finance Director of JK Tyre & Industries Ltd. He is also on the Board of several JK Group companies. He’s actively involved in the financial matters of JK Group. Mr. Kinra has rich experience in financial, commercial and corporate matters. He is a fellow member of the Institute of Chartered Accountants of India. 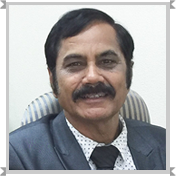 Mr. V. K. Misra is the Technical Director of JK Tyre & Industries Ltd., and is responsible for overall control of technology issues and supporting the Company’s expansion and modernization plans. He has played a key role in JK Tyre to spearhead Radial Technology, a pioneering effort of JK Tyre in India. 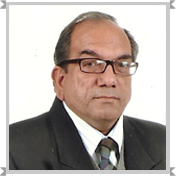 Mr. Misra (B.Sc., FIRI) has vast experience in the tyre industry. He is actively involved in various academic Institutions such as American Chemical Society, IRI and is presently functioning as Chairman of IRI, Karnataka Branch. He has also completed the CII - Exim Award Assessor Course and has participated in assessment as a lead assessor to study compliance to the Business Excellence Model of CII. He is a stand by assessor for the TQM division of CII. He has keen interest in machine design and development and has various designs to his credit. Endowed with a rich experience of three decades in the Tyre Industry, Mr. Vikram Malhotra, Marketing Director spearheads the Marketing & Sales Function @JK Tyre. His leadership is tempered with rich experience having worked across diverse geographies, handling various business segments. He has worked with Global Tyre Majors like CEAT Tyres and helped establishing Bridgestone Tyres in India. A grass roots man and a great team leader, he believes in leading the 700 strong team members from the front. He is responsible for many Change interventions and has been instrumental in enabling JK Tyre attain market leadership in the fast growing and highly competitive Truck/Bus Radials business. “Tyre times” has chosen him as one of the “Top five leaders in Marketing in the Indian tyre industry for the year 2015”. An effervescent personality he is known for his keen sense of humour. Not only he is an avid reader but also a music aficionado. You can see him on tennis courts as well marking lengths in the swimming pool. 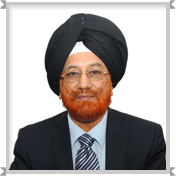 Mr. Swaranjit Singh is the Materials Director of JK Tyre & Industries Ltd. and has been associated with the Company for a long time. He is the head of Procurement Team. He has rich experience of Consumer Electronics, Automobiles, Pharmaceuticals and IT Industries – all in the commercial functions. Mr. Singh is Mechanical Engineer (IIT, Delhi) and a MBA. He is also an alumnus of IIM Ahmedabad (Management Development Plan). 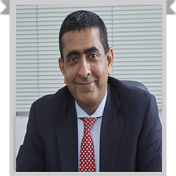 Mr. Sanjiv Saxena is the Vice President (Corporate Finance) of JK Tyre & Industries Ltd. 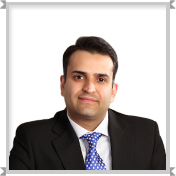 He has rich experience in finance, corporate accounts, direct & indirect taxes and other corporate matter. Mr. Saxena is a fellow member of the Institute of Chartered Accountants of India. He has been a part of leadership and management programme in Institutions like, the Indian School of Business. “There is no recipe for success; it is the result of hard work, preparation and learning from failures.” A philosophy Mr. Anshuman Singhania lives by. Mr. Anshuman Singhania is the Whole-time Director of JK Tyre & Industries Limited – a 1.3 billion dollar global tyre major with internationally acclaimed brands like “JK Tyre” “Vikrant” and "JK Tornel". Starting his career from the shop floor as an apprentice Mr. Anshuman Singhania has spent an impressive decade in the industry, holding several important and diverse positions and heading some of the most strategic positions in Marketing and Production. Being a tech-savvy man he has always had a key role in implementing the latest technologies in the manufacturing process and apart from heading operation in India he is closely working on implementing key reforms at JK Tyre, making it a truly Global Company. When Mr. Anshuman Singhania isn’t implementing latest technologies, he enjoys playing cricket, climbing mountains, reading and listening to music. Mr. Anil Kumar Makkar is a true blood Global citizen, From Mexico to Mysore, you could say Mr. Makkar has definitely gotten about, thanks to his stint with Goodyear Tyre and Rubber Company for over 21 years. Working on ground has boosted his ability to manage plants, eventually leading him to be the Senior Vice President Manufacturing and currently the Director Manufacturing, wherein he handles manufacturing responsibilities for all India and Mexico locations. A winner of many prestigious awards like PMA, Energy Efficiency and Water Conservation, in his free time Mr. Makkar sits down to write International research papers on Tyre Uniformity and Imbalance. He is a strong fan of theatre, music and reading, and also enjoys writing prose and poetry. Did we tell you he is a proud grandfather to a little baby girl? Dr. R.Mukhopadhyay did his B.Sc. from University of Calcutta and M.Sc & Ph.D (Applied Chemistry) from Indian Institute of Technology (IIT), Kharagpur, India. He also graduated in Chemical Engineering from The Institution of Engineers (I). Started his career in the 70’s as a Faculty in Applied Chemistry at I.I.T, Kharagpur. Subsequently joined Bayer India (Rubber Chemical Division). 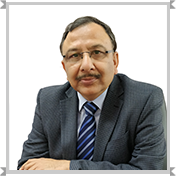 He is the Director & Chief Executive of Hari Shankar Singhania Elastomer & Tyre Research Institute (HASETRI) since its inception in 1991 and Director (R&D) of JK Tyre & Industries Ltd. since 2001. He has got more than 48 years of experience in Education, Training and Research in Rubber Science and Tyre Technology. He is a Visiting Faculty at different IITs and national universities in India. He has to his credit more than 180 research and Technical Papers in National & International journals and seven Patents from his research work. Under his guidance ten scientists did their Ph.D from different universities/IITs. He is the Chairman of Indian Rubber Institute (IRI) Governing Council and Fellow Member of Indian National Academy of Engineers (FNAE), The Institution of Engineers India (FIE), Indian Rubber Institute (FIRI), American Chemical Society-Rubber Division, Indian Society of Analytical Scientists, Indian Institute of Quality etc. He is also a Lead Assessor of different Quality Management Systems and different Business Excellence Models. He is a member of Advisory Board of Certification Services, British Standards Institute (BSI), India and BSI APAC Certification Body Impartiality Committee (CBIC), British Standards Institution (BSI) Asia Pacific Region. A truly versatile Mr. Deshpande has over thirty years of rich experience in engaging manpower. He has experience, in both the Multinational and Indian arena, working with brands such as Bayer Corp. Sciences Ltd., Bombay Dyeing Group, KEC International and Kansai Nerolac Paints Ltd. Thanks to his versatile nature Mr. Deshpande ventured out into functions other than HR such as Project Management, Works Manager and Logistics and systems, beyond all this he is renowned for his training and development competency, so, if you need a good mentor and coach, you know a guy to talk to. He was previously the Vice President of the Indo American Society and Chairman of Mumbai Chapter of National Institute of Personnel Management. He is associated with different committees of FICCI, AIOE and BCCI, and has two titles awarded to his name, “India’s Greatest HR Professional” (2004) and Lokmat bestowed upon him the honour of “HR Leadership Award”. When he’s not out coaching, encouraging employees and winning awards, Mr. Deshpande likes to trek, read and enjoy Indian Classical music. Can you say Jack of all trades?